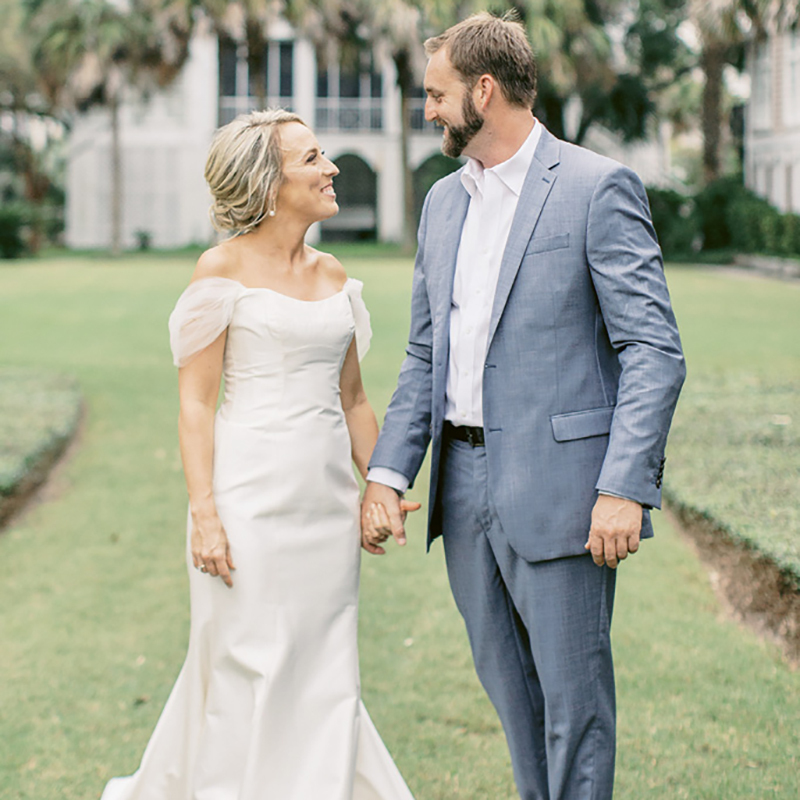 Kristen and Jason met in South Carolina as she was visiting family one summer, with Jason moving to Texas to be with her after a year of dating long- distance. On a trip back to the Lowcountry for Jason’s 10-year reunion at The Citadel, he swept Kristen away to Folly Beach for a proposal. The couple held their ceremony and reception at The Citadel Beach Club before escaping to Wild Dunes Resort for the night. This year, the Brelands are honeymooning in Paris, Provence, and the French Riviera.